This entry was posted in A/C Maintenance by admin. Bookmark the permalink. I live in south Louisiana and, thankfully, my area was not badly hit by Isaac, but I feel for the people of Plaquemines Parish as well as anyone who has ever been through such a disaster. I wish everyone would read this article. 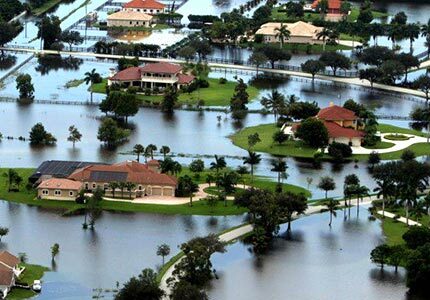 You make excellent points and these are things that everyone should know, but, sadly, so many people don’t know where to begin when faced with the aftermath of a flood. 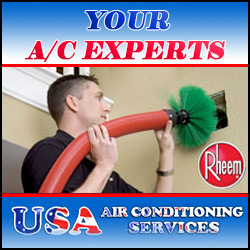 Been recently search for many resources about cleaning ac units and I really find your post as one of the best. Really useful info and solid idea however, I would like to stress on something. Yes it is important to do documentation like taking pictures on the unit as long as it is still covered by your insurance or warrantee. A little tip on cleaning the AC filter, use a mild detergent to easily wash the mud/dust/dirt.. You can use a hand sprayer for this too! That is if you don’t have a compressor to use. Yup and it’s working for me. This is a great tip, thanks! Reynald, would you be interested in contributing a guest post on behalf of Guest Post Twin Cities? Thanks for the good informative review. There are several pointers that are important to keep in mind when you are getting your window air conditioner out and ready for the hot weather. The first one is to inspect it to see if you need to perform any cleaning of vents or other maintenance on it before testing it to see if it is ready to be used. Be sure to disconnect the power before you work on it. A properly working in wall air conditioner will be clean and in good repair with no bugs or debris inside. There are some of the different things to check for in wall air conditioner maintenance, beginning with the fan and motor to see if they are clean and operational. If they need to be tightened or lubricated do so now. Check to see if the thermostat is operating correctly. Good to hear the two cents of other reputable HVAC professionals. Would you like to be a regular contributor for our blog? 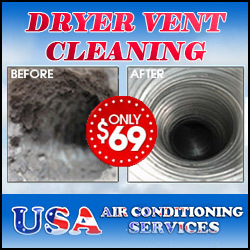 We love offering new and different perspectives to our customers for AC and air duct maintenance.